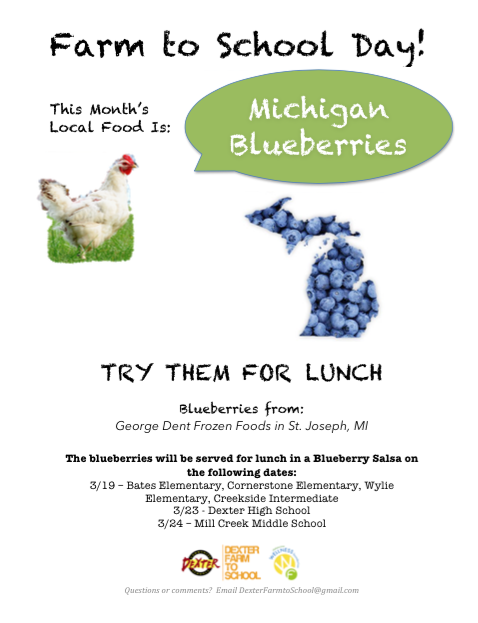 This month’s featured local food is Michigan Blueberries served in a Blueberry Salsa! 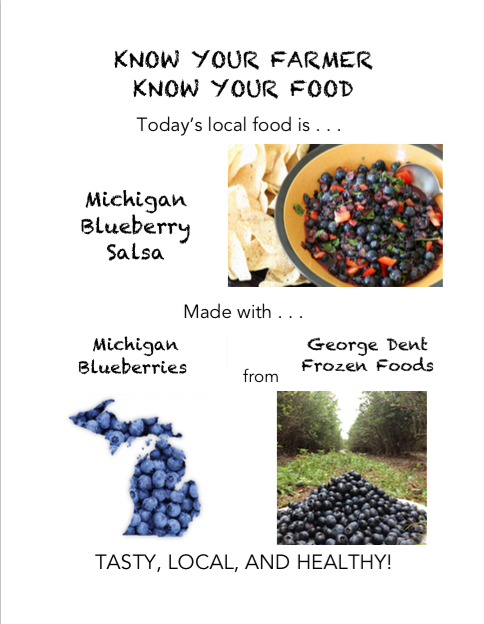 The blueberries are from George Dent Frozen Foods base in St. Joseph, MI. They will be served at Bates Elementary, Cornerstone Elementary, Wylie Elementary, and Creekside Intermediate Schools on 3/19, At DHS on 3/23, and at Mill Creek Middle School on 3/24! We will be there on the 19th and 24th to help promote this new and interesting food to students! The recipe is based on this one. It will be interesting to see what Dexter students think of this healthy, delicious and locally grown food!